Jazz Station - Arnaldo DeSouteiro's Blog (Jazz, Bossa & Beyond): Crossover CD of the Month - "Kevin Hays: Variations"
Crossover CD of the Month - "Kevin Hays: Variations"
There is a lot to discover in and behind Kevin Hays' piano solo music. It is music that appears to be classical yet deeply breathes in the spirit of jazz. "Variations," his first project as a leader for the Pirouet label, is the music of a jazz improviser who -- departing from variations on a theme by Schumann -- integrates the vocabulary of various ages and styles of piano music in an exceptionally natural way, transforming it into a distinctive musical language. 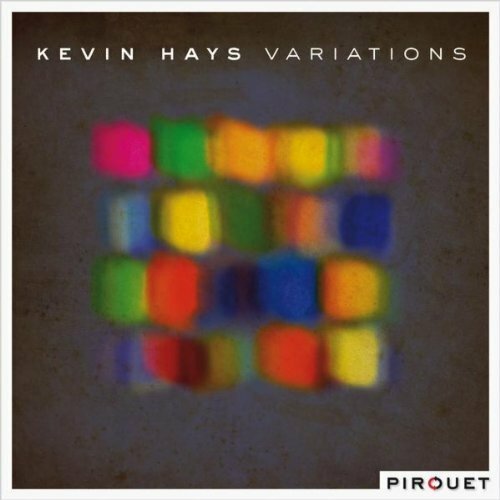 Kevin Hays is a musician with an enormous gift for the unusual who creates a fascinatingly integral whole out of a multiplicity of idioms. Born in New York City in 1968 and raised in Greenwich, Connecticut, Kevin Hays began to play piano at the age of six. He had his first professional performance at the age of 15, and by the time he was 17 he was playing with baritone saxophonist Nick Brignola. After studying at the Manhattan School of Music he began touring in the United States, Europe, and Japan with the Harper Brothers, Benny Golson, Joe Henderson, and Eddie Gomez, among others. He recorded his debut album, "Sweet Ear" and signed with Blue Note Records in 1994, recording such albums as "Seventh Sense" (1994) and "Andalucia" (1997) featuring Ron Carter and Jack DeJohnette. In 1995 Sonny Rollins brought Hays into his ensemble, and later Hays toured with John Scofield. Alongside his solo projects he has been working with his trio, which has included bassists Scott Colley, Larry Grenadier, Doug Weiss and drummers Billy Hart, Jochen Rückert, Bill Stewart, and Jeff Williams. Kevin Hays has also been playing in the Bill Stewart Trio. Kevin Hays moved for a period of time to Santa Fe, New Mexico, and then returned to New York City, where he currently lives. Other musicians he has worked with over the last years are Klaus Doldinger, Art Farmer, Al Foster, Tim Hagans, Donald Harrison, Antonio Hart, Roy Haynes, Pat Metheny, Chris Potter, Joshua Redman, Buster Williams, and Jeff Williams.